Ulat Buku Geek: i've been interviewed! It's an honour for me and would love to share with you guys. Very cool! Heading over now. 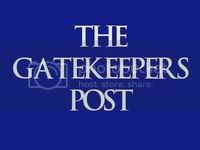 Fun interview, as I stated on the Gatekeeper site, I didn't realize how into thrillers and mysteries you are, I obviously haven't been paying enough attention! yay you! i'll keep in mind your penchant for thrillers.